The eighth period Gang Ge Talk about Explaining the difference between the public blockchain and the application chain. The topic of the eighth period of "Gang Ge Talk" last Thursday was centered on "the difference between the public blockchain and the application chain". Under the explanation of Mr. Wu Gang, everyone has a more professional understanding of the relationship and difference between the two. (Notice: Since the beginning of this period, Gang Ge Talk that the live broadcast period was officially adjusted to two weeks). The following is the main content of the eighth period of "Gang Ge Talk", divided into text version and photo version. The live broadcast has been done for many periods. We talked about the project, blockchain knowledge, and technical analysis. Today, we talk about the difference between the public blockchain and the application chain from the perspective of operating SEER. As in the past, in order to facilitate the understanding of communication, only talk about the case, not the theoretical thing. Mr. Wu Gang feels that answering the following question that is often asked, it is convenient to start today's topic to introduce the difference in the operation of the public blockchain and the application chain. 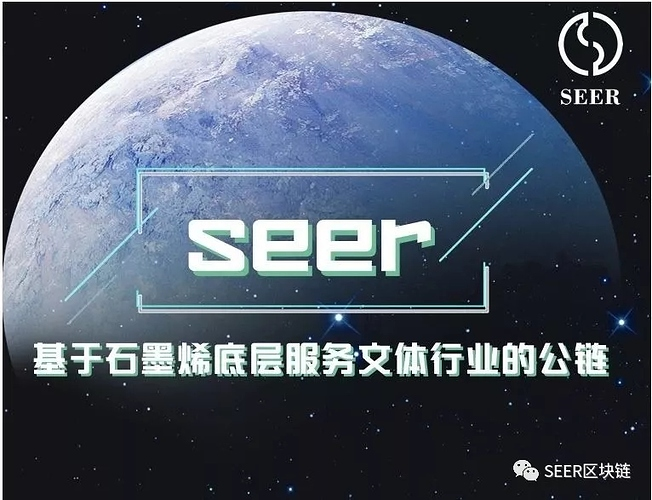 He have heard many people in the community have raised a question many times: Why does SEER not make a DAPP by itself, and use SEER coins as a circulation TOKEN, which is more efficient. If you wait for the application to access the public blockchain, it is a long process to publicize the cost of public blockchain, education costs, and technology development threshold. This point of view is justified, but the environment in which SEER is located, and SEER wants to make a product with greater prospects and more commercial value, cannot do this. It is not as simple as it is to make one thing. It involves the big environment, the timing, the resources, the funds and so on. First, in a big environment. Today, 99% of the currency is speculative. Few people really regard the blockchain as a low-level technology that can truly change the existing business model of human beings. Few people really understand that we are changing the world through technology. Otherwise why do all the tokens look at the BTC most of the time? Of course, this is similar to the Internet bubble 18 years ago: speculators are mostly. So whether you are doing a public blockchain or a public blockchain as an application chain, you can't change the big environment. That is to say, this is not the main reason for the rise and fall of your token. Second, the timing. Whether it is speculation or industry, the timing is very important. Now, during the big bear market, he thinks it is an opportunity. He believes that the big bear market is a good time to operate the public blockchain, because in the same environment, the high market value of the public blockchain is far less effective than the application chain, the application chain needs to be large, and it can be used on a large scale. The public blockchain is a good need for a large number of DAPP operations to enhance his value, so in the big bear market, as a public blockchain, have time to win this time difference. Third, resources. The investors of SEER are not lacking in the resources of the landing. In addition to the fighting circle, football basketball and basketball esports have broad resources. If you do the application chain, you can't get so many resources. Therefore, the best way to measure from the perspective of resources is to just do a good job of public blockchain and release the broad application chain scenario to the friendly resources. Fourth, funds. The main body of the public blockchain exists in the form of a foundation. In essence, it does not need to be profitable. 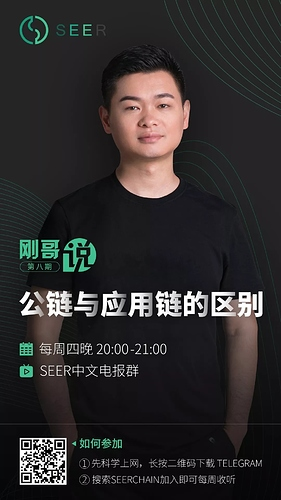 His purpose is to play the SEER brand and let more DAPPs access SEER. As a centralized operator, DAPP needs to have a business model and needs to be profitable. The financing quota of SEER at that time was the interval of public blockchain financing. In addition, the operation idea of the public blockchain is the TOB service, which facilitates the access of the organization. The idea of the application chain is the TOC service, which is convenient for users to use. The public blockchain is like Wanda Plaza, and the application chain is like Adidas, Wanda Plaza TOB, and application chain TOC. 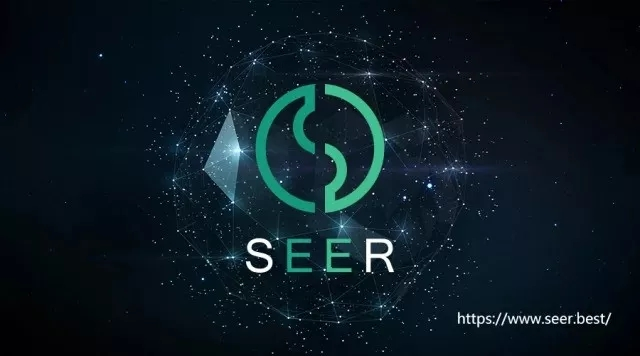 Of course, the SEER team will also provide the "Bibi" app for the currency circle, using only SEER as the circulation TOKEN, and will also be open source as a SEER development sample. As the above four points of consideration, before the occurrence of large variables, we must unswervingly implement the strategy, instead of changing our strategy with our own human greed, jealousy, ignorance, jealousy, slowness, and suspiciousness. The wind has not moved and the flag has not moved. It is the heart of the people. We are doing big things and doing something to change the existing sports and entertainment industry. We are not opening a canteen. The above content is the live content of this period.